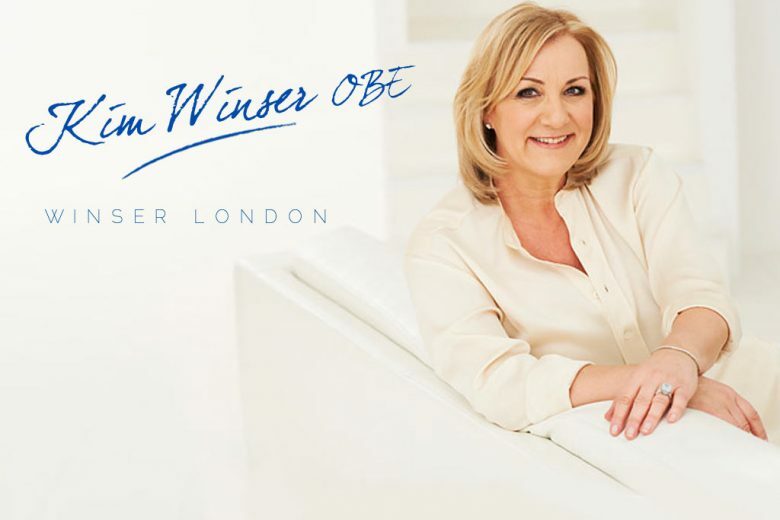 Kim Winser OBE is recognised as one of the UK’s most internationally renowned business women. She was M&S’ youngest appointed divisional director, famously turned around Pringle of Scotland and Aquascutum, and was chair to the Agent Provocateur brand. In March 2013 she launched her own brand – Winser London. Spotting a gap in the market, Kim established the business to create a timeless collection of luxurious quality, at surprisingly low prices. Winser London is sold online, and in selected Harvey Nichols, Peter Jones and John Lewis stores. Kim was awarded an ‘Inspirational Achievement’ award 2013, and has been appointed a trustee of the Natural History Museum by David Cameron. Our fashion editor Karen Skagerlind asked Kim why she was inspired to launch Winser London, and if she had any business advice for other ambitious mums. What are you wearing for work today? Winser London of course. The pencil skirt in midnight with midnight v neck silk top and black DB jacket. Apart from Winser London what other brands would you shop for modern workwear? I love Bottega Veneta for a bag, or Michael Kors if you want to spend less. What is the best workwear style advice you can give our readers? Choose your personal style over fashion – the most important thing of all is that you feel confident. I wish I could help every woman dress each morning so they could be as good and recognised as their talent allows. In your retail career you’ve worked with some of the UK’s most distinguished brands. So what made you develop your own brand, Winser London? I was passionate about an area in the market which was not being fulfilled – the area of fashionable clothes with great quality, at amazing prices. Far too many brands load up their prices by using so many middle men, all adding to the cost of products. I was clear I wanted to offer my female customers the quality of the luxury brands, no less. I also wanted my team to work remotely, and not having to trek into central London every day – and I wanted to be fast and responsive so that each customer feels this is the brand made for them. Winser London has just celebrated it’s first year anniversary. What’s your future vision for the brand? Everything has moved very quickly in this first year for us, more quickly than I expected. We are not only a strong online brand, but also very successful in both Harvey Nichols and John Lewis too. We have had high demand from overseas so we launch shipping internationally in April, at just one year old. This month we also will be offering some of the best value products made exclusively for each cutomer, a 100% merino wool coat in a colour of your choice at £350, and a stunning maxi silk dress in a range of colours. These of course are the cream on the cake as our prices start at £40. The main challenge has been keeping up with demand and having no free weekends for a year, but I’ve loved it. How do you balance the business with being a mum? I have always worked very hard but fiercely protected my time with my son. I still do that today and have never missed an important event with him – after all family and friends are the most important things in life. Be prepared to graft and be seriously hands on. I have gone from a Global Chairman, President and CEO with a major office suite, two executive PA’s and a driver, to dressing mannequins, delivering stock and running my accounts myself – but I wouldn’t want it any other way. If you have the talent and the passion, go for it and good luck! You can view and buy the Winser London range on their website.